Fiction. Environmental Studies. 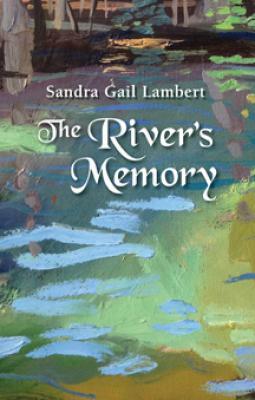 THE RIVER'S MEMORY tells the story of women living along the banks of a river where water billows from caverns of silent lakes. Before the first Europeans arrive, a potter survives an alligator attack only to be trapped in a deadly game of politics. Centuries later a child of the Florida frontier sits on the baby graves of her siblings and tries to make sense of her mother's depression, race relations, and the habits of caterpillars. Fever and breathlessness, both from the Spanish Flu and a rush of new sexual feeling, sends a fourteen-year- old on a journey of escape that ends where in the years to come a woman born without legs spends her days swimming with manatees, drinking moonshine, and reading the latest Virginia Woolf. That is, until the day a man asks her to wrestle snakes. Today, a store clerk in the river's amusement park sells plastic dream catchers and alligator mugs made in China until divorce, a looming forty- ninth birthday, and a sudden winter storm drive her back to the river she abandoned as a child. And, finally, ten thousand years ago, when the river was only a crack in the earth, a trader walks across the grass savannahs of what will become Florida and searches for a way to end her pregnancy. These women are not famous. None of them have children. Instead, their stories exist in a mosaic of time and shadowed history, and the things of the river clay and water, trees and bone carry their memories forward.